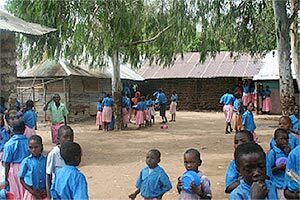 By coming to Edale Folk Festival you will be helping children in Kenya to get the education we take for granted in Britain. 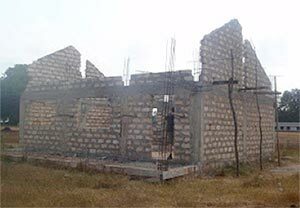 Every other year a group of students from Hope Valley College go to stay in Kavunyalalo village to learn about Kenyan culture and see how the school building is coming on. This was how the secondary school building looked in 2012. The money raised at last year’s folk festival has paid for local builders to give it a roof. Now we want to raise even more so we can help provide a proper education for these children. Freedom from Torture provides support to adults, young people and children who have survived torture and organised violence. The organisation refers to the survivors it helps as its 'clients'. The vast majority of Freedom from Torture clients are asylum seekers or refugees who have secured their status in the UK. "Any act by which severe pain or suffering, whether physical or mental, is intentionally inflicted on a person for such purposes as obtaining from him or a third person information or a confession, punishing him for an act he or a third person has committed or is suspected of having committed, or intimidating or coercing him or a third person, or for any reason based on discrimination of any kind, when such pain or suffering is inflicted by or at the instigation of or with the consent or acquiescence of a public official or other person acting in an official capacity." Since Freedom from Torture was established in 1985, over 50,000 individuals have been referred to the organisation for help. A glance at the range of countries from where many have fled is a reminder that torture is a widespread practice.